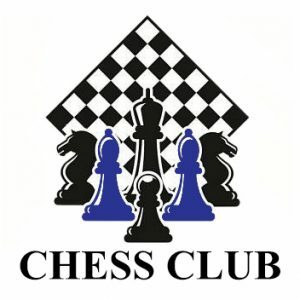 Bring a Dynamic Chess Club to your school! Where kids come to have fun while improving their chess game. The Chess Club includes instruction, training puzzles, tournament style games, and blitz/bughouse. Don’t have a chess club in your school? Email us for more info! We can help make that happen! All playing levels are welcome, including absolute beginners! Beginners and more experienced players will be separated into different groups. The class will focus on all areas of the opening, middlegame, and endgame. The class will also cover famous chess games, numerous checkmate patterns, and how to improve chess calculation and visualization. There will be an in-class tournament based on grade levels with trophies and prizes during the last few weeks of each chess session! The cost is $120 plus a $10 activity fee. All children registered for Chess Club at St. John of the Cross will be given free access to Chesskid.com for each calendar school year ($50 value). Children will be able to play others in class and all over the world online, watch videos, and work on several exercises to unlock online achievements! Assignments and supplemental fun work will be offered, and the children will be able to earn prizes for their work outside of class! The curriculum is compiled and structured by William Aramil, the Author of The Complete Idiot’s Guide to Chess Openings. All children registered for Chess Club at Field Elementary will be given free access to Chesskid.com for each calendar school year ($50 value). Children will be able to play others in class and all over the world online, watch videos, and work on several exercises to unlock online achievements! Assignments and supplemental fun work will be offered, and the children will be able to earn prizes for their work outside of class! The curriculum is compiled and structured by William Aramil, the Author of The Complete Idiot’s Guide to Chess Openings. The cost is $126 plus a $10 activity fee. All children registered for Chess Club at St. Francis will be given free access to Chesskid.com for each calendar school year ($50 value). Children will be able to play others in class and all over the world online, watch videos, and work on several exercises to unlock online achievements! Assignments and supplemental fun work will be offered, and the children will be able to earn prizes for their work outside of class! The curriculum is compiled and structured by William Aramil, the Author of The Complete Idiot’s Guide to Chess Openings. The cost is $60 plus a $10 activity fee. All children registered for Chess Club at Visitation will be given free access to Chesskid.com for each calendar school year ($50 value). Children will be able to play others in class and all over the world online, watch videos, and work on several exercises to unlock online achievements! Assignments and supplemental fun work will be offered, and the children will be able to earn prizes for their work outside of class! The curriculum is compiled and structured by William Aramil, the Author of The Complete Idiot’s Guide to Chess Openings.